This post’s title is a phrase that has no real meaning in Latin. It’s a pun based on the literal translations of the Latin words into English. Semper means “always”, ubi is “where” and sub is “under”. 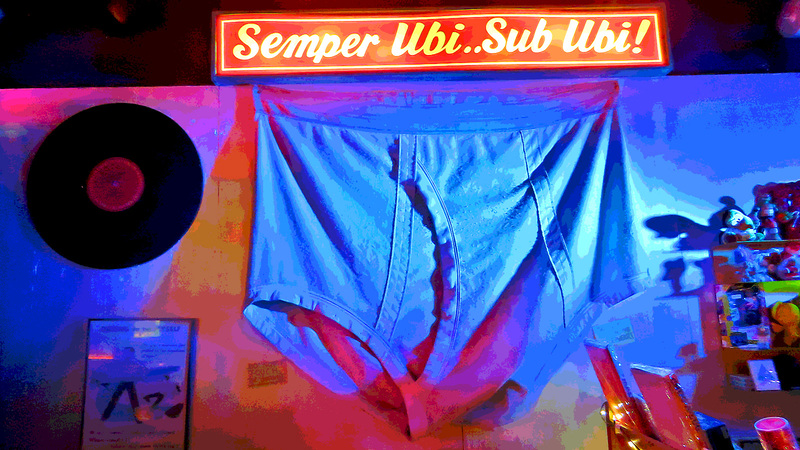 So, semper ubi sub ubi translates to “always where under where”, which sounds like “always wear underwear.” This explains the sight gag, the accompanying XXXL sized pair of tighty-whities. Also, if you convert XXXL from Roman numerals, you end up with a size twenty. This entry was posted in Humor, Saint Louis and tagged City Museum by RegenAxe. Bookmark the permalink.